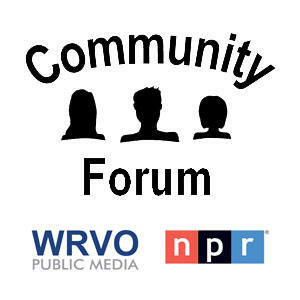 This forum will air on Sunday, June 15 at 7 p.m. on WRVO. Listen locally on your radio, on your smart phone or tablet device, or online. Keeping children healthy sounds like it's something that should be everyone's goal but how to keep America's youth healthy can be very controversial. Michelle Obama's "Let's Move" program has focused on combating childhood obesity by getting kids to eat healthier food and to exercise more. But when the USDA issued new calorie guidelines for school lunches in 2012, many kids and parents complained the lunches weren't filling enough, especially for students involved in sports. How can we make sure kids of all income levels get the nutrition they need -- during school and at home? While experts agree that physical activity is good for children, many school districts across the country now offer fewer physical education classes than in years past, in favor of more academics. In this forum, we look at the public policy, societal dynamics and the medical reasons impacting efforts to get children physically fit and eating a nutritious diet. How are current policies and programs impacting efforts to fight childhood obesity? and Benjamin Steuerwalt, wellness coordinator for physical education at McKinley Brighton Elementary School. Catherine Loper, director of news and public affairs at WRVO is moderator. This forum took place on Thursday, May 22, 2014 at Nottingham High School in Syracuse. Past health forums and community forums can be found archived online.